This course will provide you with basic knowledge in 3D modeling and rendering in Autodesk Maya. The focus will be on creating images for life science research. We will go through modeling of proteins, cells, DNA and maybe some examples of tissue. In addition to producing 3D renders and animations, you will also learn how to composit these images in Adobe CS5, to produce figures for scientific papers and presentations. We will also have a look at how to make short animations, to visualize key points in your research that are hard to explain without moving images. Open to registered PhD students and Post-docs at KI and to PhD students at other Swedish universities . Schedule: Lectures 09.00-12.30 on the dates in question (see above) and reserve time for home assignments to really benefit from the course. You need to bring your own laptop, at least Core i3 or equivalent processor recomended, a netbook or tablet will not work. Software will be supplied. Many of the tutorial and examples are inspired by a course given by Gael McGill at Harvard University. Find similar and more tutorials at his Clarfi webpage . Note that these lectures refer to the February 2014 iteration of the course. Here we will have a look at the basics. You can dowload the first lesson slides a cheat-sheet and download the excercise file that we are going to use in the course. For the homework you can have a look at the YouTube instructions. In this lecture we will take a look at polygon modelling. After that, we will go through the basics of deformers and how these can be used to sculpt geometry. We will start to look at howt to render nice looking stills using shaders. Second lecture slides The neron modelling file that we will use in the exercises. 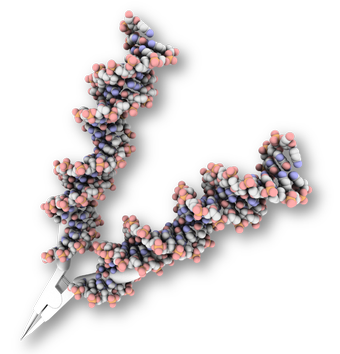 In this session we will take a look at some modelling of cultured cells, DNA and proteins using Molecular Maya. You can dowload the third lecture exercises here. Now we will look at how to work with the output from Maya in Illustrator an After Effects, a process called post-processing. Instructions , and excercise file 1, and file 2. Today we will continue to work on individual projects but also have a look at some dynamic binding events and some scripting, here is the execise file and here is some sample data we will use. See this video of what some of the result might look like. Mostly this will be an open workshop session for work on individual projects. vHelix for Maya will be presented as well as some more scripts. Link to vHelix.